Get Your FREE Copy of My eBook to Start Your Low Carb Journey on the RIGHT TRACK! Do you need help getting started on low carb? Are you looking for ways to maximize your low carb lifestyle to get the most benefits? You're not alone. That's why I've created this free eBook to provide you with the best low carb tips and tricks. 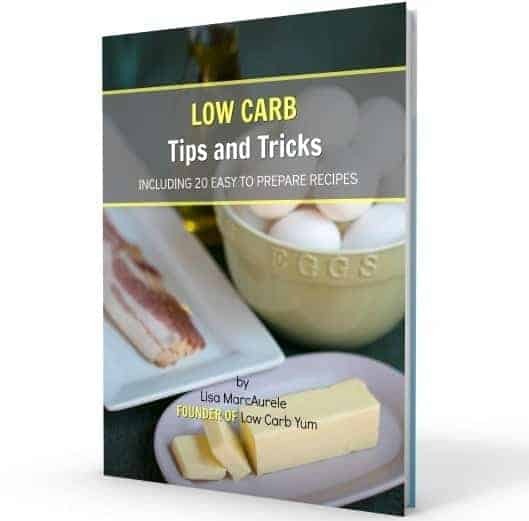 FREE eBook - Instant access to "Low Carb Tips and Tricks" which includes 20 easy to prepare recipes and tips from leading low carb experts. Newsletter - Weekly updates of all the latest recipes so you'll never miss another recipe. Special offers only available to Low Carb Yum subscribers! Yes, I Want Instant Access to the eBook!